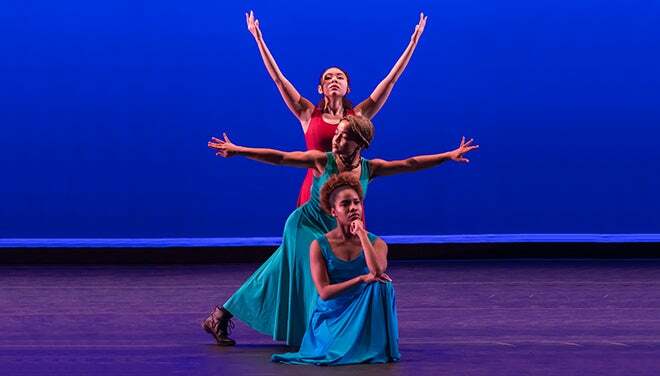 The Three Harriets tells the inspiring stories of these women combining history, poetry, and dance—Harriet Tubman, the most famous conductor of the underground railroad; Harriet Jacobs, who escaped from slavery and became an abolitionist, and the author of Incidents in the Life of a Slave Girl; and Harriet E. Wilson, who was held as an indentured servant in the North and went on to become an important novelist, businesswoman, and religious speaker. 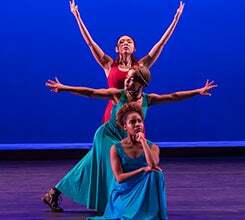 Through the brilliance of original poetry and choreography this performance unites themes of perseverance and courage that underscore these women’s lives. This stirring production is a collaboration of literary historian Dr. P. Gabrielle Foreman, choreographer and artistic director Dr. Lynnette Overby, and Peace Center Poet-in-Residence, Glenis Redmond.